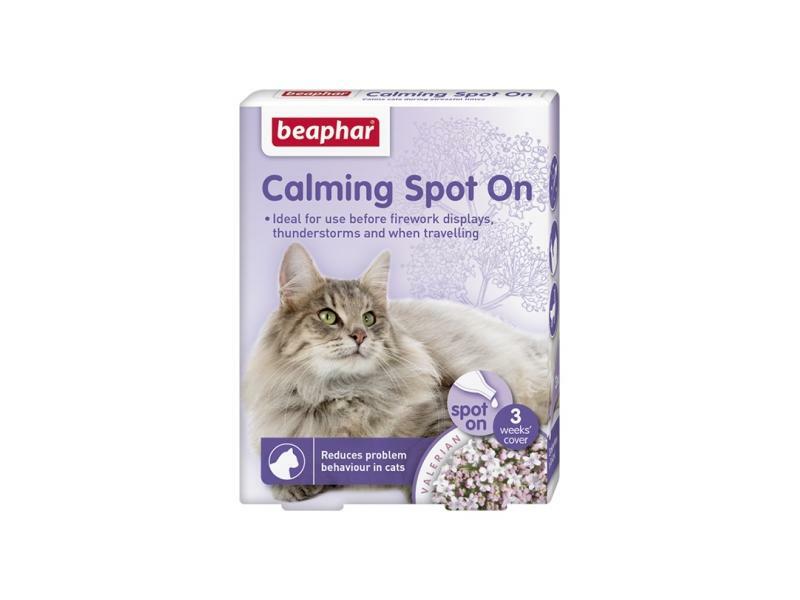 Beaphar Calming Spot On is a natural product which can help to induce calm and help ease problem behaviour in cats and dogs of all sizes and ages. The micro-encapsulated formula can be applied one to the back of the neck to last for one week. It contains the herbal supplement valerian extract which is widely known for its calming properties. Calming Spot On can help to ease excessive noise making, destructive or boisterous behaviour and inappropriate marking. 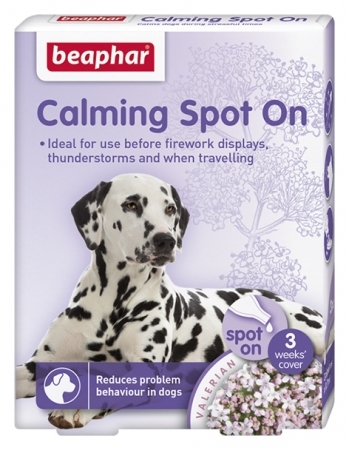 It can also help during stressful situations such as fireworks night, thunderstorms, travelling and moving house. For best results, apply one pipette between the ears, once a week. The Valerian extract will be activated within 1 hour after the drops have been applied. If your pet gets very wet, re-apply the drops or their effect may be diminished. If you use a spot on flea product, this is usually applied between the animal's shoulder blades. 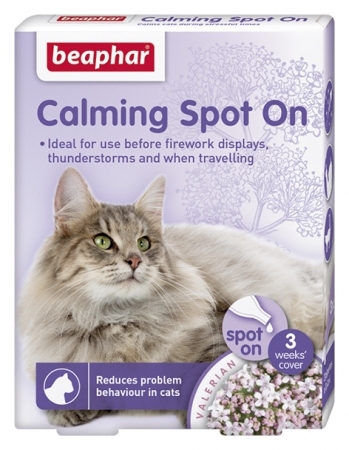 Be careful to apply the Calming Spot On in a different place, ideally between the ears. 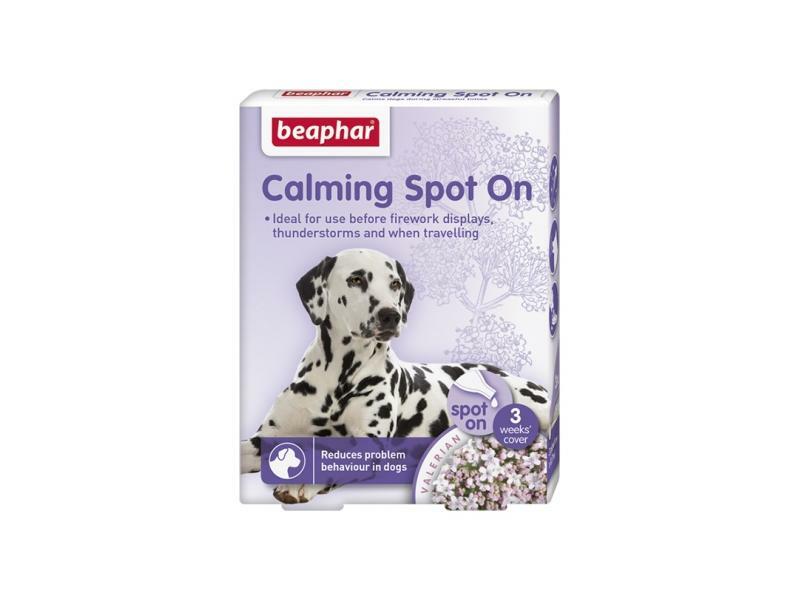 Below are some recent questions we've received regarding Beaphar Calming Spot On for Dogs & Cats, including answers from our team. Yes, these products can be used together if needed. I have a rescue dog that is so nervous of almost anything but at the moment we're going through another of his rough patches. In the past I have tried Adaptil, Dorwest, and also Adptil, pretty much to no avail. I have now ordered Zylkene... can i use this spot on treatment together with the Zylkene? My Vet prescribed ACP but they either do nothing with one pill or knock him out with 2 pills.... not at all what i want. You can use the Beaphar Spto-on with any of the other treatments you have mentioned. The more help the better in some ways.